Grado PS500 review | What Hi-Fi? We’ve become used to the distinct, ‘between the wars’ styling of Grado’s on-ear offerings. They may not be the best looking headphones – and they certainly won’t win any style awards – but those stripped back, no-nonsense looks do say that they mean business. The Grado PS500s may be the junior sibling to the top of the range PS1000s (and at less than half the price, too), but it shares more of a familial look with the 2011 Award-winning Grado SR325is. The sturdy headband is easily adjustable via the antennae-like connectors, and the foam-padded ear cups swivel. They’re not as soft and comfortable as the Sennheiser HD700s, for example, but the PS500s are a snug fit without feeling vice-like on your head, and they will make your ears warm only after lengthy hours of listening. As with all other Grado on-ear headphones, the open-backed design of the PS500 means they will leak sound. A lot of sound. Every person near you, therefore, will be able to hear precisely what you’re listening to – and that’s something that won’t make you very popular on the train or in the office, no matter what your music taste. As with similar large, high-end headphones, the Grados are best suited for home use. The thick cable running from both ears ends in a 6.3mm jack, only going to underline the implication that they don’t sit too well with portable use. By their very nature, open-backed cans tend to have a more open sound than their closed-back counterparts. This certainly rings true for the PS500s, and they are definitely among the most open-sounding headphones we've heard. The sound they produce is airy and spacious, with all the different instruments sounding separate and clear. The Grado PS500s are terrifically insightful – a trait handed down from the PS1000. They are, however, fussy with the quality of music you play through them. They’re not as forgiving with low-resolution or streamed files as some rivals such as the Beyerdynamic T5p, Sennheiser HD700 or Shure SRH1840, showing up flaws in quality quite readily. To get the best out of these PS500s, don’t play them with anything less than CD-quality music. Their fussy nature means that you’ll have to pair the Grados with good quality equipment as well. Plug them into a decent headphone amplifier, however, and you’re in for a treat. Play Trent Reznor’s On We March from The Social Network, and the taut, punctuated basslines positively demand your attention. There’s plenty of attack and verve, and everything is controlled even at higher volumes. 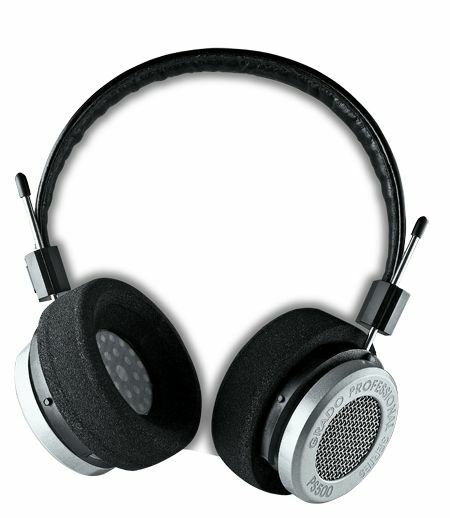 They do, though, lack the refinement of the Sennheiser HD700, and the precision of the Shure SRH1840. Nevertheless, these Grados have excellent timing, with beats stopping and starting with agility. And it’s not all about the bass. The vocals in Colorblind by Counting Crows, for instance, are clear and expressive and the quieter moments are handled as deftly as with the best of their rivals. The Grado PS500s are bold and enthusiastic headphones that are full of energy. They aim to make sure you have a fun time – and are definitely worth an audition.